On my continuous journey of seeking to simplify my and my clients lives and results, I'm generally in the know about cool tools, tips, resources, and services, before the general masses. Membrandt – My channel (The Simplifier app) is backed by this powerful tool and company. If you have a platform/community, look into how this unique secret advantage can help you & your people. Stand out! 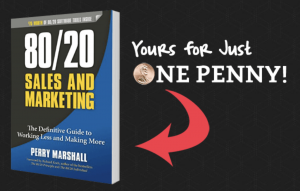 Perry Marshall's 80/20 Sales And Marketing book – Carry it with me in my back pack everywhere. Best business book of all time, IMHO. Not just me though, go check out testimonials from Dan Kennedy, Roland Frasier, Michael Gerber, Jeff Walker, Frank Kern, Jay Abraham, Sam Carpenter and more HERE. Getting RIPPED – I am currently on the path to becoming in the best shape of my life at 46 (in exactly 1 month from today, as I write this on 8/22/18), and am following my long time friend Joel Therien's guidance via his NowLifestyle program and 7-Minute Workout proven technique, while helping others become their healthiest, as well. BTW – currently down 30+ pounds in the past few months, looking lean, and now it's time to get jacked! Balance Board – Really works your body and core during normal down time. Takes practice to be able to work while on it standing up. 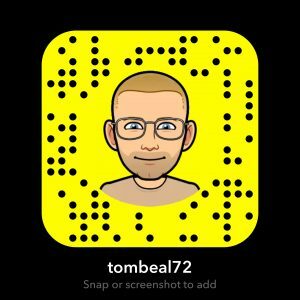 Apple Watch Series 3 Stainless Steel w Milanese Loop – I did not wear watches until the Apple Watch and I absolutely love mine. It's become such a part of my routine and use, that I almost forgot to include it as a resource I use everyday. Created a blog post and podcast audio of why I loved my Apple Watch years ago here. Enjoy it even more now.